I’m not going to talk about Charlie Brown, so if that’s what you’re expecting, Peanuts to you. In preparation for my own mad experiment, I had to do a lot of field research. This involved spending a lot of money on a lot of different pumpkin ales in an attempt to find the perfect harmony of hops and spice and pumpkin and bring it to life in the bubbling fermentation bucket of my imagination. P.S. I kegged it this weekend. It’s alive! And all that. Smuttynose Pumpkin is heavy on the bittering hops, which detracts from the overall pumpkinoscity. Wolaver’s Organic Pumpkin Ale is tasty, but finishes off more like a malty brown ale with only tiny residual pumpkiny bits left to slide around your palette. Shock Top Pumpkin Wheat and my beloved Harpoon UFO Pumpkin come off as too light, nearly tasteless compared to their full bodied breatheren. Oddly enough, the best pumpkin flavor I found was in Woodchuck Pumpkin cider (I know, WTF), but I still can’t decide if the taste seems artificial when paired with cloyingly sweet apple cider. And little to my surprise, sitting on the top of the discard remains of my research sits Dogfish Head Punkin Ale. The stuff is just stupidly good. I’m serious. I get stupid(er) when drinking it. Even stupider than when I normally drink large amounts of beer on an empty stomach over a short period of time while trying to do my homework that is due in 18 hours. Not that that sort of thing happens often. But just as I was about to crown Dogfish Head the undisputed champion of my Fall drinking habit, Heavy Seas – The Great Pumpkin steps in, punching me straight in the jaw with a right jab of deliciousness. I’m usually wary of anything with the word “Imperial” in front of it (porter, IPA, storm troopers) because of the implications of such a specifically applied word. Imperial usually means sweet, strong, high ABV, higher than normal “fall out of your chair” count. 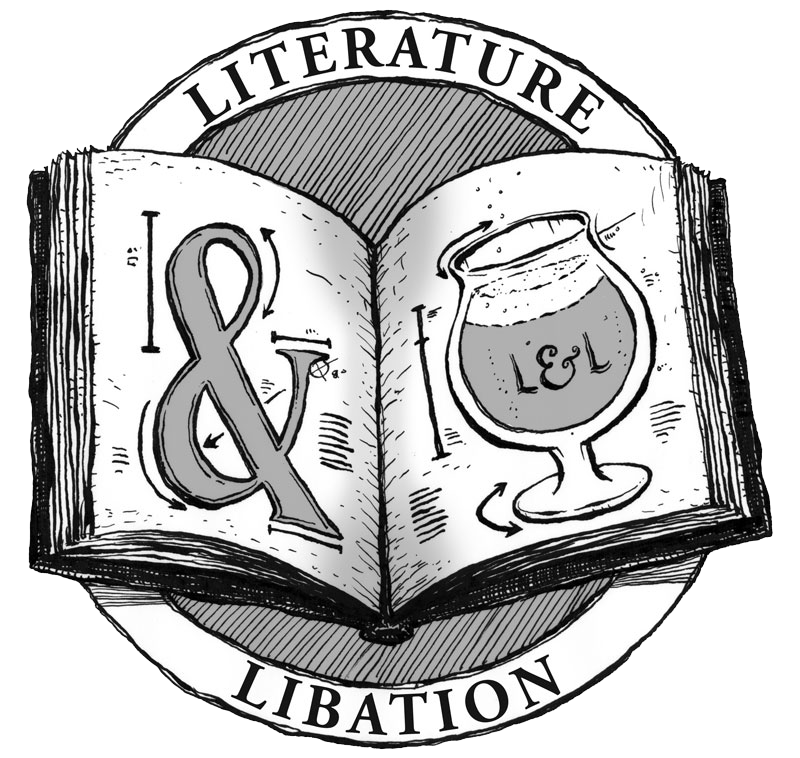 It has always symbolically stood for the opposite of why I drink beer, standing in bold opposition to refreshment and crispness. 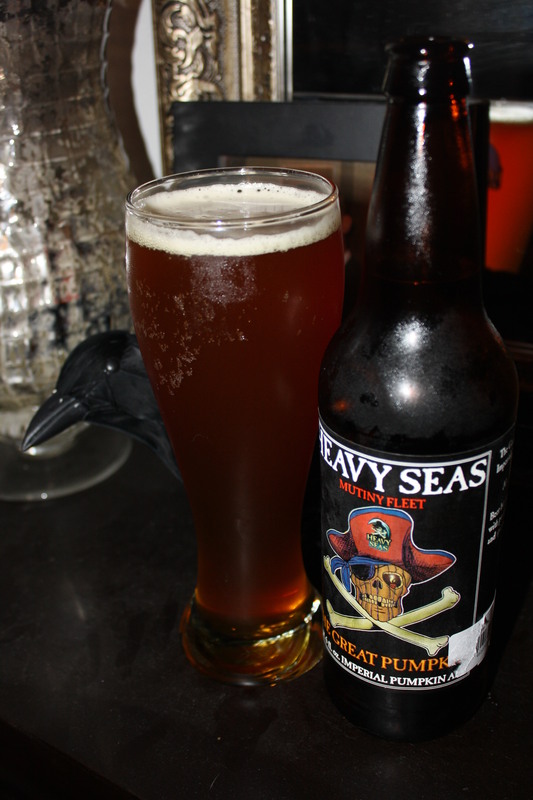 Heavy Seas has proven me wrong. The Imperial Pumpkin Ale that is “The Great Pumpkin” is, excuse the empty word, amazing. Perhaps the sweet spiciness of pumpkin ale as a style lends itself to the Empire. I don’t know, I’m not from a galaxy far far away. But I do know that this beer does everything right. Unlike Imperial pilsners, it pours with a small white head that fires cinnamon and nutmeg aromas up your nose if you get too close. It is a brownish gold, like the top of a perfectly baked apple turnover. It smells sweet and buttery, as if someone stuck an entire pumpkin pie – crust and vanilla ice cream included – into a Blendtec blender and left it on “eviscerate” for 10 to 12 hours. Will it blend? Hell yea it will blend. The result is a beer that may actually be the physical embodiment of the whole season. Deep inside of each sip you can see the leaves changing color, hear your family bickering over who gets lights versus dark meat, smell the wood smoke of freshly lit fires on a cold October evening. It is the best Pumpkin Ale (that I have tried) in the WORLD. Sorry DFH, you had a good run. I still love you though. Now, come in slightly cheaper six packs and we may be able to rekindle this love affair. Until then, HS: TGP is my gal. I absolutely love the Woodchuck pumpkin cider. Soooo delicious. Swear I can taste cinnamon and nutmeg in there. Yea! I bought some for my wife and found myself really enjoying it. It’s pretty well done and the first (and only) cider I’ve come across to try a pumpkin variation. Pumpkin beer did not sound appealing to me until I read this. Now I must try it! Punkin Ale or the Great Pumpkin. You can’t go wrong with either. After my experience with Shiner’s Prickly Pear [https://pitstexasexpatblog.wordpress.com/2012/09/21/beer-tasting-5/] I don’t think I’d be interested in pumpkin beer. I – maybe that’s my German origin and thuis just a prejudice – prefer the “real” stuff. That’s completely understandable. It’s definitely one of those weird American creations, and as such, not for everyone.